Green swatches with flecks of purple and pink will completely cover this bed. Just need a few more sunny days and rain or well water. Our raised bed is a patchwork garden. One month ago seeds of the early spring greens, chives, and sugar snap and large pod peas went into the cold organic soil situated in this raised bed on the screenhouse side of our greenhouse. The lettuce and spinach are sparse. Either bad seeds, but most likely not enough watering and near freezing mornings a few days in April. We will reseed this week. One end are the early spring lettuces, spinach, and chives sowed in patches rather than rows. Then the 2 rows of peas in the middle. 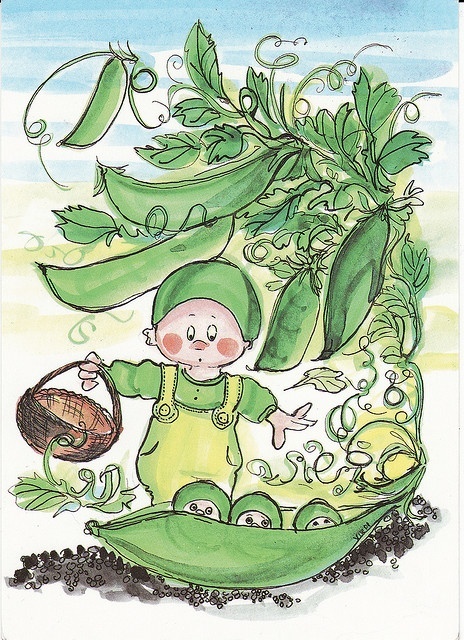 On Sunday I sowed a row of bush beans near the pea patch. At the other end of the raised bed are patches of herbs sowed into the soil; cilantro, a blend of basils, thyme, and marjoram. 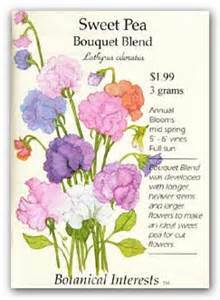 We selected Olds Seed Company organic vegetable and herb seeds bought at the local country store late winter. You’re the only reason I keep on coming home.